Writing and publishing your QI work can be challenging. Navigating the requirements for journals as well as knowing what to include in a published peer-reviewed report of QI can make the task even more difficult. The Standards for Quality Improvement Reporting Excellence (SQUIRE www.squire-statement.org) publication guidelines were initially published in 2008 and revised in 2015. The guidelines focus on helping authors produce more complete and more transparent reports about original QI work. SQUIRE helps you define the rationale and theory of the QI work, describe the context where the work occurred, and focus the study of the intervention. Do you have a project to write? Do you need some guidance and assistance with getting started writing your QI project? Join SQUIRE faculty from Dartmouth and University of Iowa in Leicester 7-8 March 2017. We’ll use highly interactive sessions for you to work on your manuscript, get expert feedback, and learn how to give feedback to others. Additionally, we’ll have plenary presentations from Professor Mary Dixon-Woods (@MaryDixonWoods) and medical and nursing QI teachers with advice about a career in scholarly QI. If you can’t make it to the Leicester conference, you can catch the SQUIRE team in Oxford on 9 March – click here for more details. 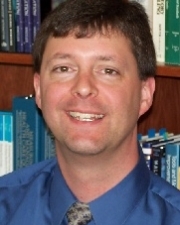 Greg Ogrinc is a general internist working at the White River Junction VA Hospital in White River Junction, VT. He is the Associate Chief of Staff for Education and has served as the Senior Scholar for the White River Junction VA Quality Scholars Program. At the Geisel School of Medicine at Dartmouth, he is currently the Senior Associate Dean for Medical Education.